It was a weekend destined to be fantastic and fabulous in every way. 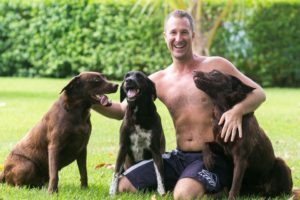 Spending it with Isaac, owner of Latitudes Adventure, and Pablo, his partner and person extraordinaire, the three of us headed to Manuel Antonio for a weekend vacation. I honestly was not really excited about the idea. 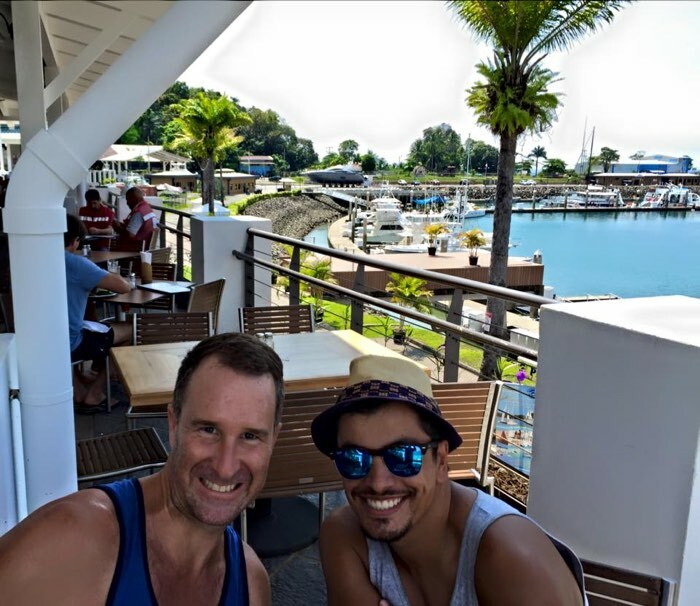 I had visited Manuel Antonio several times and felt like I had done it. But Isaac assured me we were going to see “the other side” of Manuel Antonio, and the other side we definitely saw. Staying at The Falls Hotel and Resort was a homecoming for me. I had initially stayed there during my first visit to Costa Rica in 2004. The Falls used to be called, Big Rudys which was a beautiful and decadent Gay Resort. Now that ownership passed hands and the feel is very different. Nevertheless, it was a nice sense of returning. 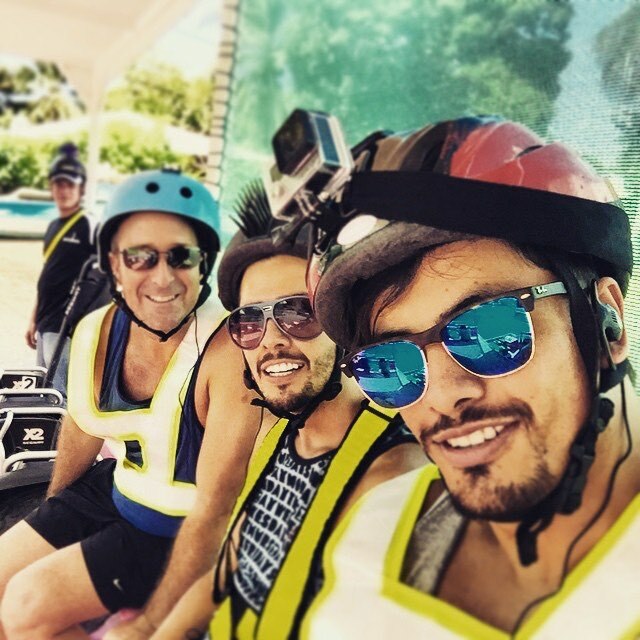 The first day of our stay in Manuel Antonio was to include two tours. Going to bed early, we woke up early and headed out to the new waterfront in Quepos. 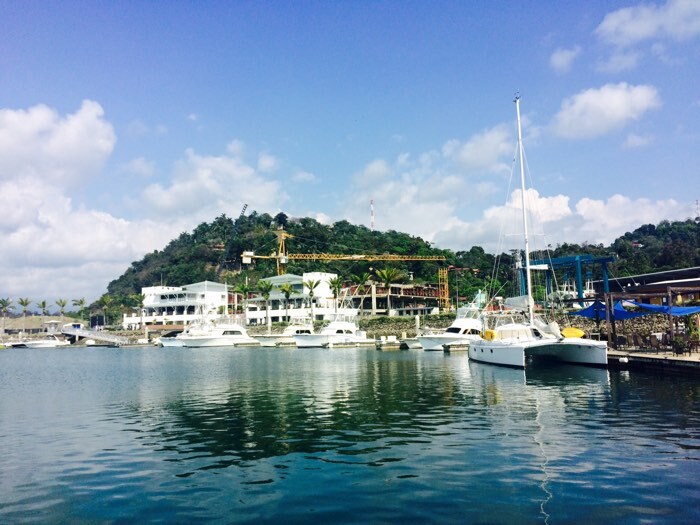 When driving to Manuel Antonio, you pass Quepos on the way. A small Tico beachfront town, cheap in appearance, a lot of money is now being thrown its general direction. A new Marriott is making its way there with a large hotel and condominium beachfront. And now, let’s get into the three things you absolutely must do in Manuel Antonio, Costa Rica! 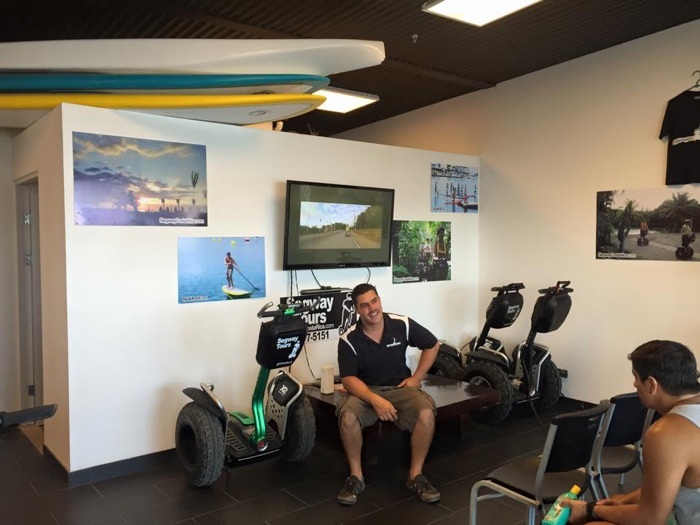 In this new area we rendezvous at the Segway Tours store. Our guide met us with a big warm handshake welcoming us. After filling out some forms, we sat down and went through an orientation which began with a video. After the video, we spent about 45 minutes learning how to use the Segways. Now you would think that it would be easy to use one of these suckers, but not really. In fact, the first time we boarded them, the instructor held onto us and them until we got comfortable. The balance is easy to learn, but take a little time to adjust to. This is the reason for the 45-minute lesson. Finally we were ready to go! 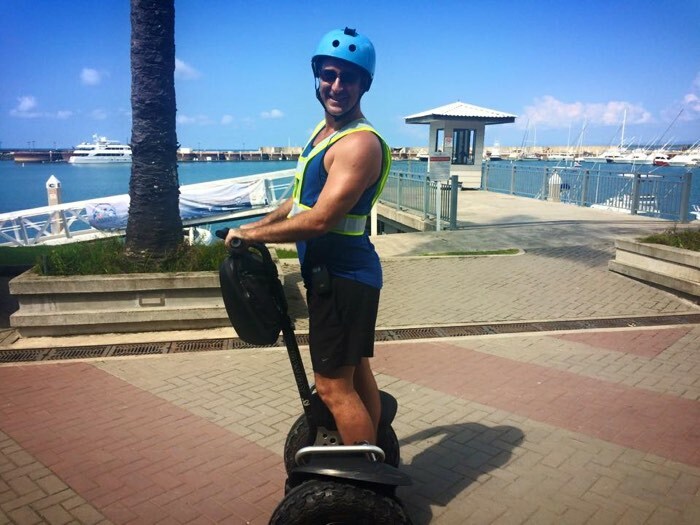 The beginning of the tour allowed an opportunity for some more practice and time to get acquainted with the Segways. Once we were more comfortable, our instructor stopped each of us and opened the speed controller. And off we went on the real tour. We made our way through the village of Quepos and then headed to the the Island. YES! an Island. As many times as I had been to Quepos, I never knew that there was an island there. We took the Segways done a little alley where we met a small ferry boat to get across the channel. The island is really residential to the local Tico population and you will not find any Gringos living there. This is where the “real” locals live and being able to ride our Segways through them was exhilarating and fun. I felt as if I was just getting to learn about Costa Rica all over again. 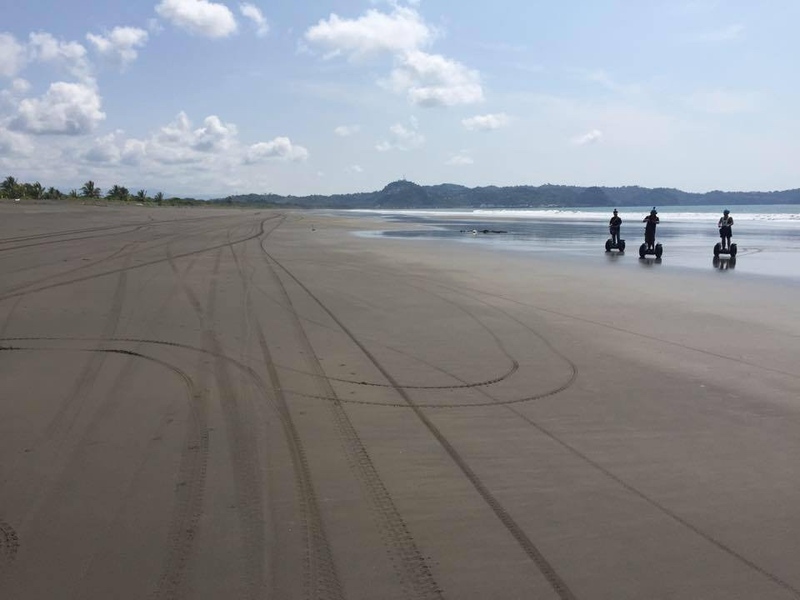 We came to the island during low tide and opened up the speed on the beach. 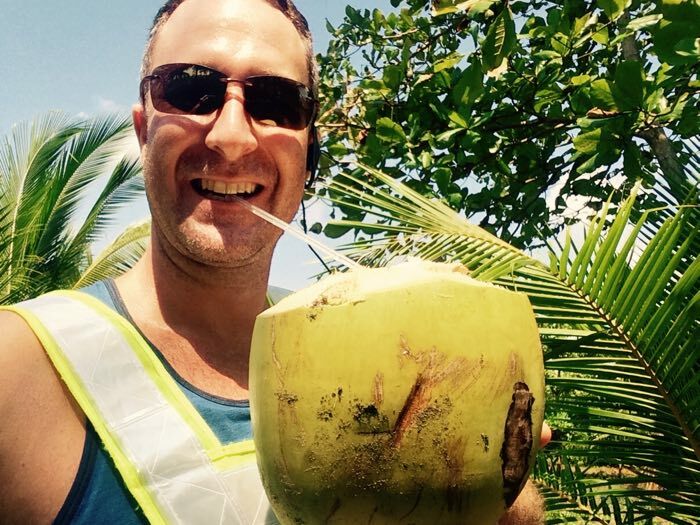 Finally, we stopped for fresh coconut water. And the best part of the tour was at the end when we had this amazing Tico lunch – chicken rice, beans, avocado, fried plantains sitting on top of this new beautiful harbor. 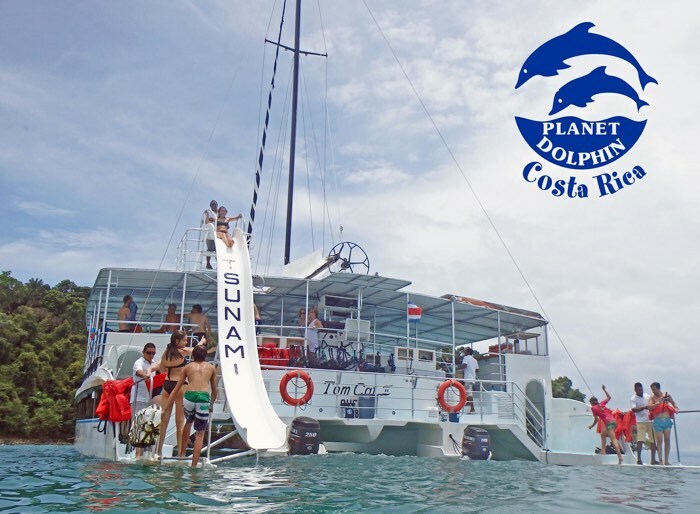 That afternoon, we returned to the harbor in Quepos to board a catamaran with Planet Dolphin Tours. 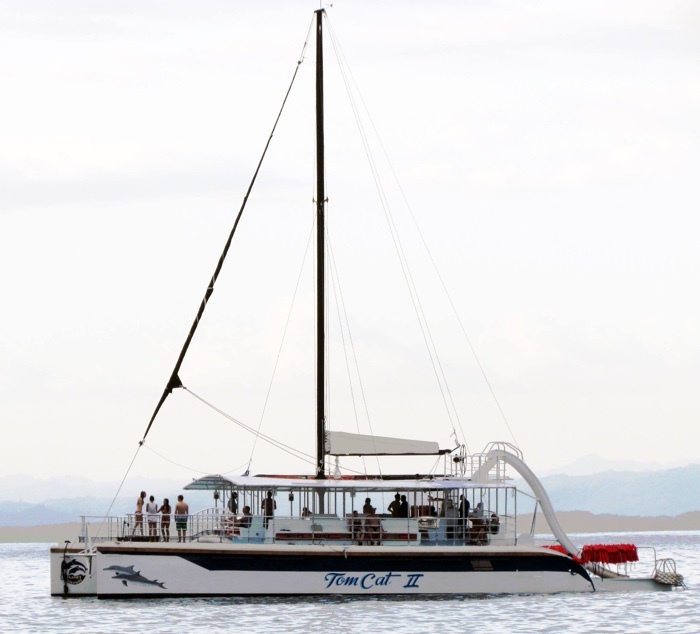 The Catamaran Planet Dolphin cruise took us to the open ocean. They mentioned that along the way, we might expect to see spotted dolphins, migrating humpback whales, sea turtles, and manta rays. And we did see many of these things! We made our way down the coastline of Manuel Antonio’s mesmerizing National Part – the sights were rich and intoxicating! There were mysterious islands with unique rock formations providing nesting grounds and homes for numerous species of marine birds, including pelicans, boobies and ibises. At one point along the way, the boat stopped and the captain hoisted the sail. With the motor turned off, and with us drifting, we had the opportunity to relax and enjoy some drinks (which were included in the price of the tour) as well as time in the sun. I was a happy Yogi Aaron. After a while of sailing and relaxing, we arrived in one of the most pristine and beautiful beach coves I have ever seen – Biesanz Bay. 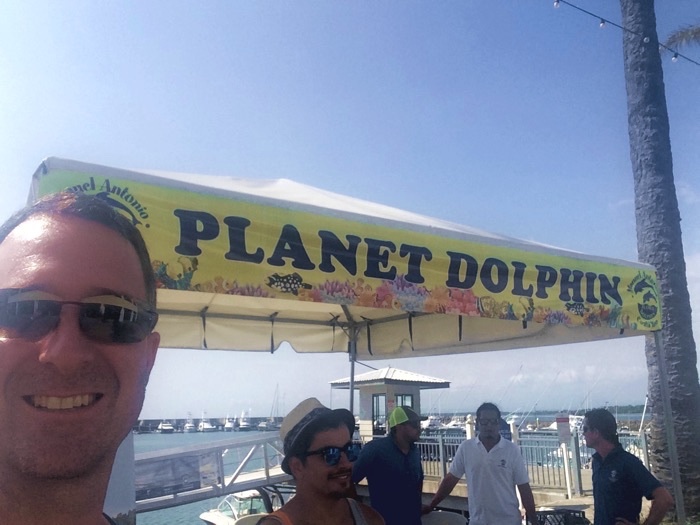 Planet Dolphin provided snorkels and fins inviting us to dive in and enjoy watching the 50 species of tropical fish and coral. The ocean water was warm and the sights were break taking. 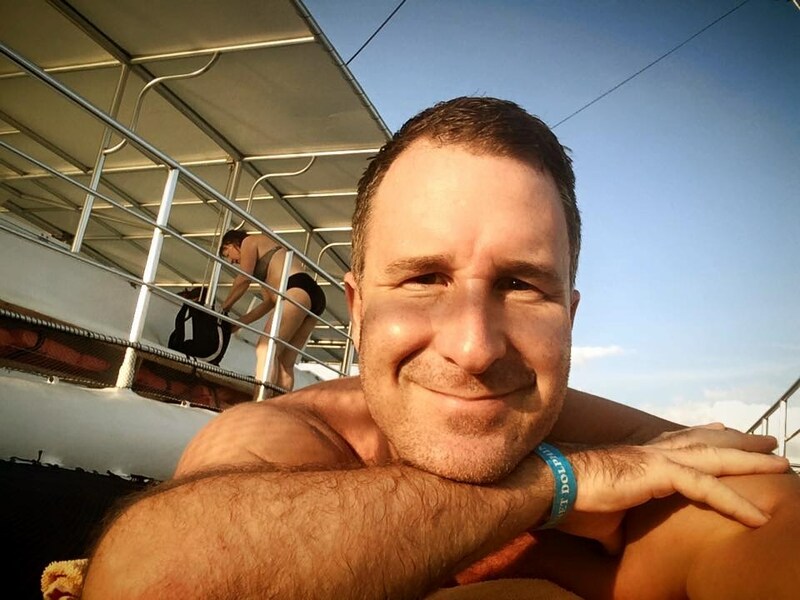 Upon returning to the boat, everyone played on the slide and took turns diving from the upper deck into the ocean. Following the fun water activities, we come back on board to enjoy the delicious meal the crew prepared for us: grilled fresh fish brochettes with onion and green pepper and scrumptious dipping sauces, pasta salad with vegetables, homemade pesto sauce, fresh tropical fruit, homemade flan, the freshest Costa Rican coffee, cocktails and natural fruit drinks. You will discover the true meaning of the word paradise while surrounded by the lush green landscape and the soothing sounds of the ocean. The last leg of the tour is the trip back to the Quepos dock. We watched a stunning and dramatic sunset on the way back to shore. It was such an added bonus! Isaac, Pablo and I were so exhausted that each of us went back to our hotel rooms at the Falls and slept soundly after such a fantastic day. The nest morning, after catching a breakfast that was NOT at the Falls, we went to our next tour. 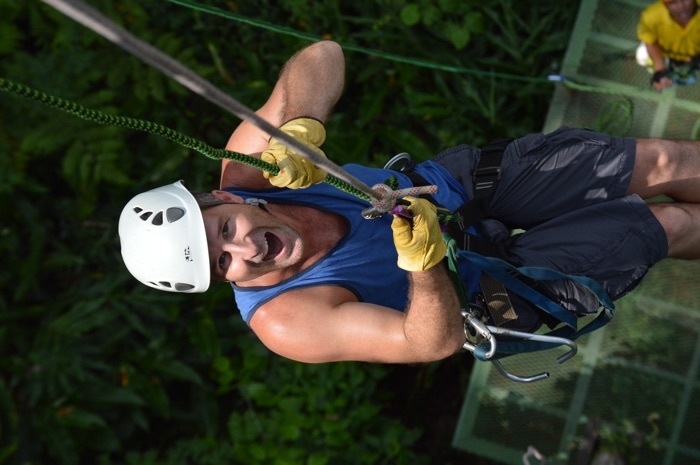 Having lived in Costa Rica for so many and experienced so many zipline tours, I was ready to be really disappointed. 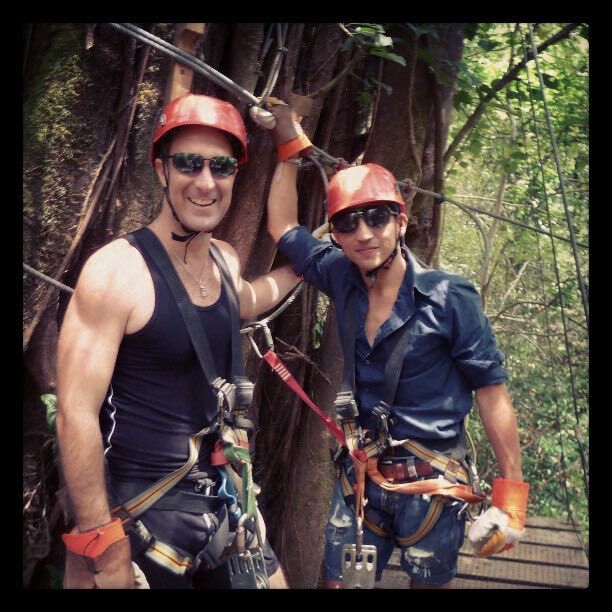 My favorite tour was up in Miramar, Puntarenas, where we ziplined down a dozen waterfalls. But I was ready and open to what was coming. We met our guide at our hotel who shuttled us to El Santuario’s site which was 30 minutes outside Manuel Antonio. Once we arrived, we filled out the required liability release forms and was fitted for out gear. 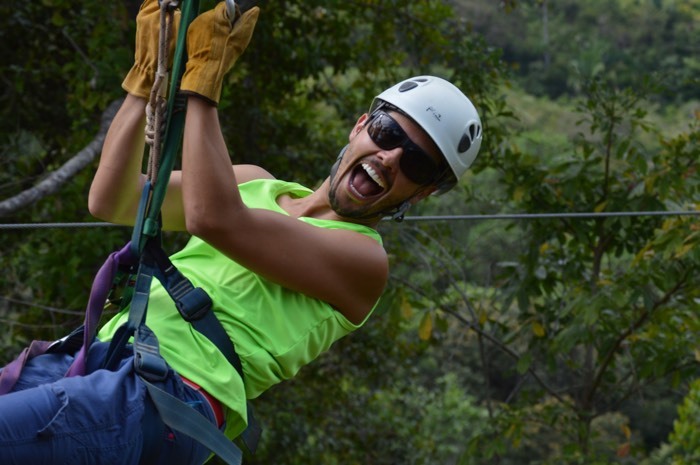 Located just off the Central Pacific Coast near Manuel Antonio National Park and Quepos, El Santuario promises to bring thrill seekers one of the best things to do in Costa Rica and features Central America’s Longest single zipline at over 3/4 of a mile! 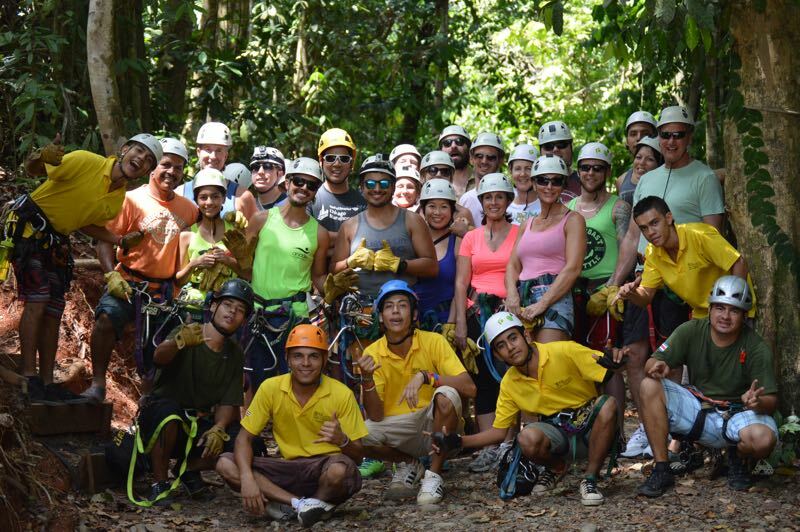 The have a full team of professional, bi-lingual, and certified guides trained in safety ready to take care of you ever step of the way. One of the most awesome aspects of this tour was that there were no brakes needed. The guides took care of all the braking for us. 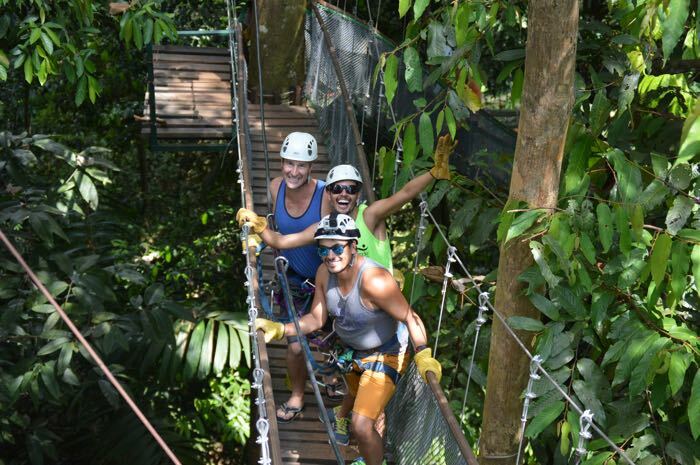 In total, the canopy tour has over 3.6 kilometers of total zip line length on 11 lines, 14 tree platforms, 3 nature walks, 6 hanging bridges, a rappel secured by a top and bottom belay, air stairs, mountain, jungle, canopy, and ocean views. 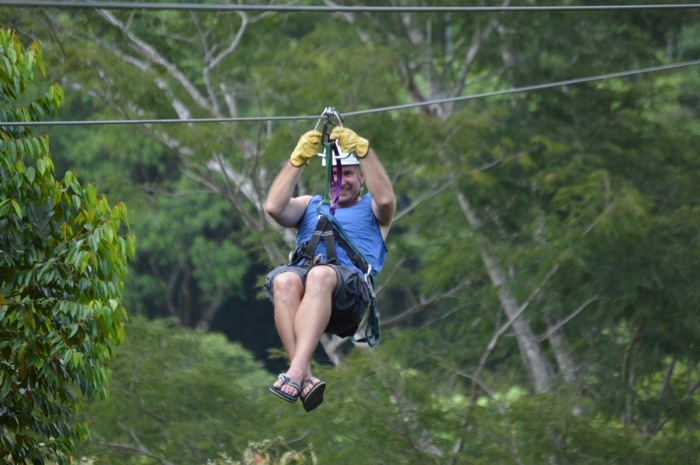 They have the Longest Single Zip Line in Central America at Over 4,300 Feet. 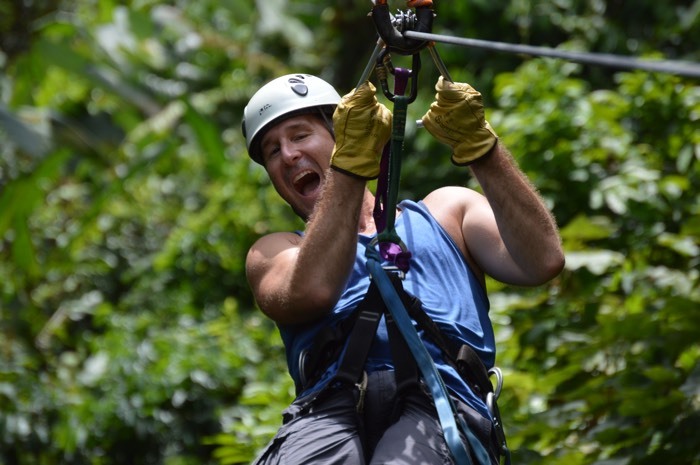 They don’t charge extra for riding the longest zip line in Costa Rica! It is included in our tour price. 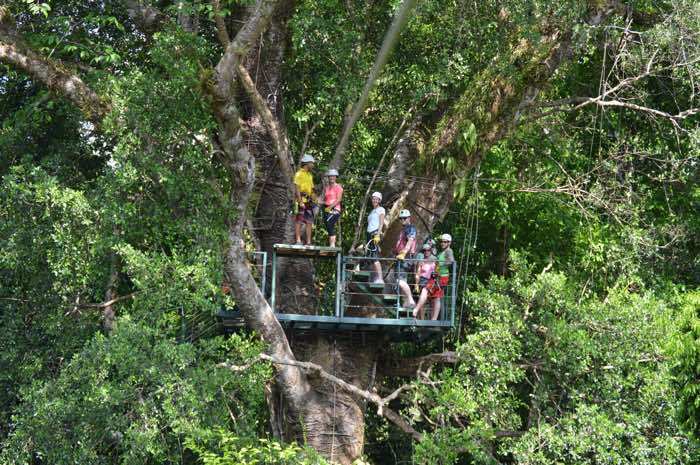 They have 14 Tree Platforms, 3 Towers, 6 Hanging Bridges, 3 Nature Walks, 1 Double Belay Rappel. They have a beautiful natural butterfly garden. The tour includes transportation from Quepos and Manuel Antonio and a tasty typical Costa Rica lunch after the tour. You can fly with safety on their Touchless Lines with No Braking Required by the Rider. The promise ocean views included at no extra charge. Our group set out together. And finally, we were off! We loved all of the hanging bridges. We became tree dwellers for one day. One of the most exhilarating parts of the entire journey was the nearly 1-mile ride! The final platform is not a zipline but a 40 foot drop down. You are connected to a line, and the guide lowers you down to the ground. I did not have a problem until he asked me to step off the platform. After four tries, he finally coaxed me off. 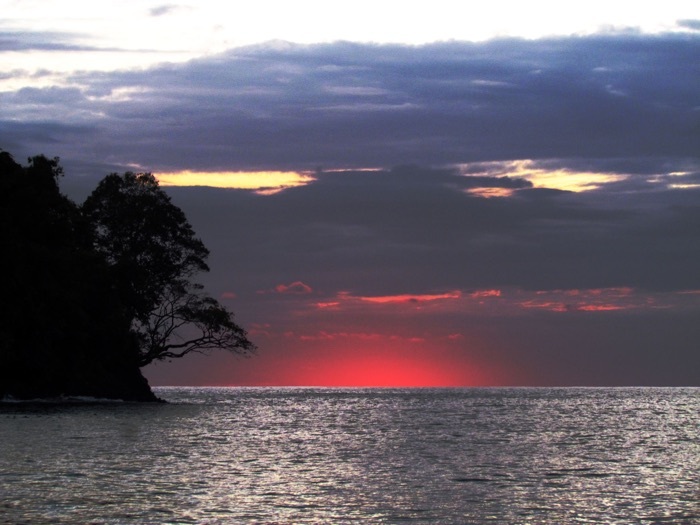 Manuel Antonio, Costa Rica is full of amazing gems waiting to be discovered. If you don’t know where to start, try these three amazing tours. While they only last a short time, the memories you make and the photos you take will last a lifetime. Read More And Discover Costa Rica!